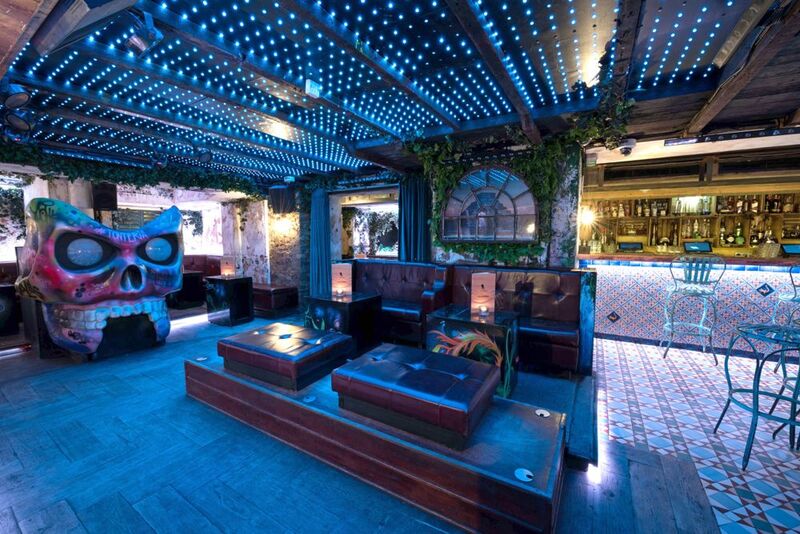 Spend New Year’s Eve in London’s high-voltage Mexican party haven – Tonteria. 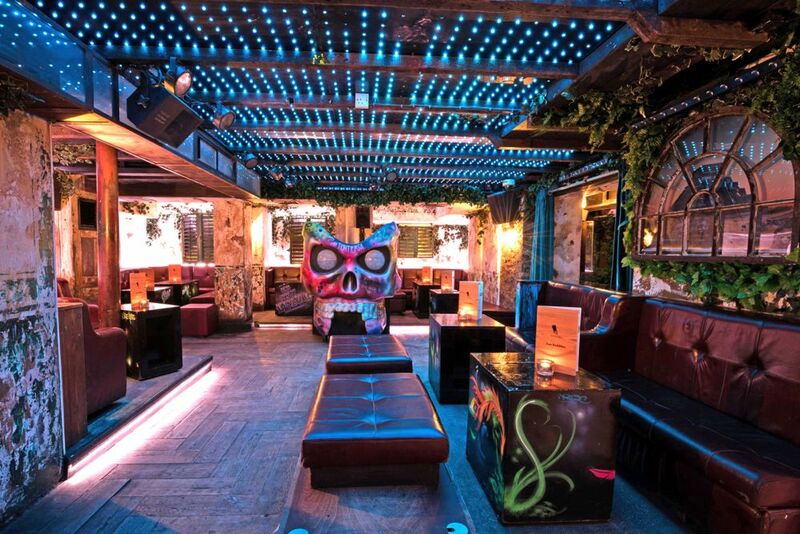 This subterranean hotspot is known for its all-out events. 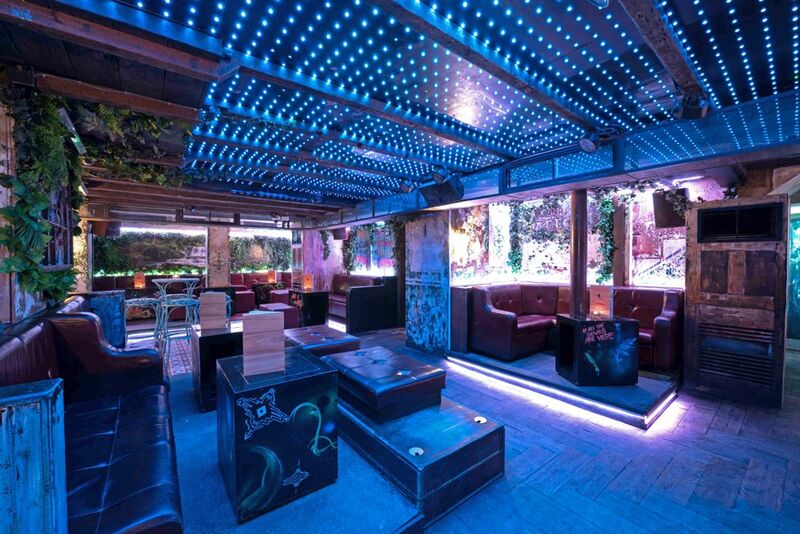 Though its location is incognito, nights here are anything but low profile. 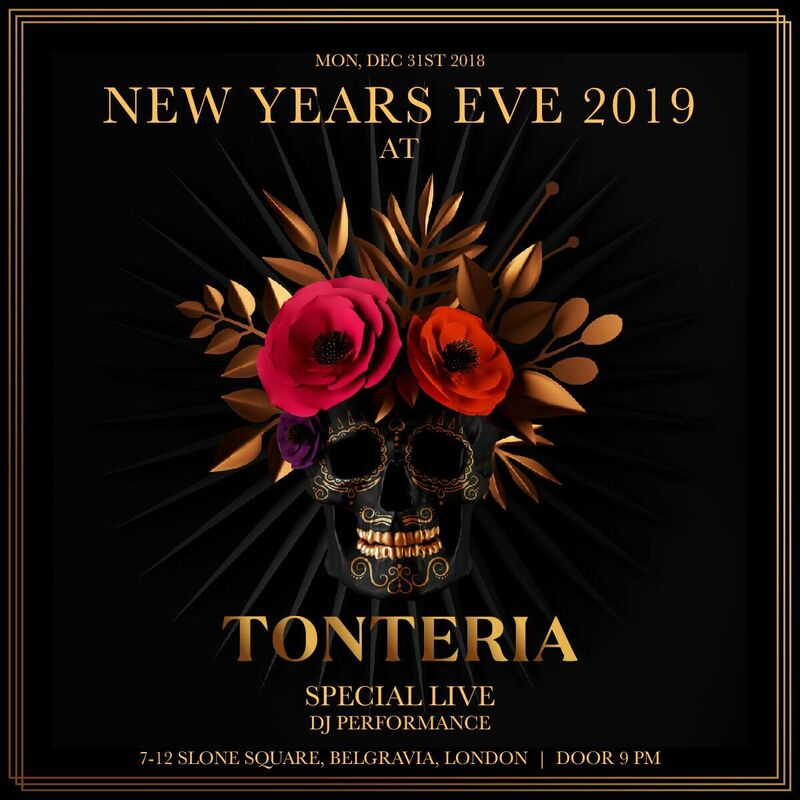 Pick up a ticket to Tonteria’s NYE event to find out why it’s been the talk of the town. 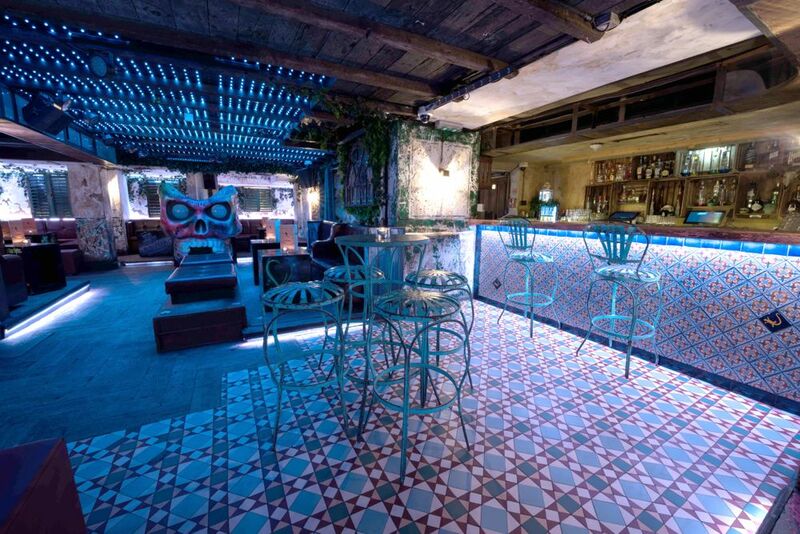 Start the night off with a margarita in hand and dance the night away to a live DJ performance. 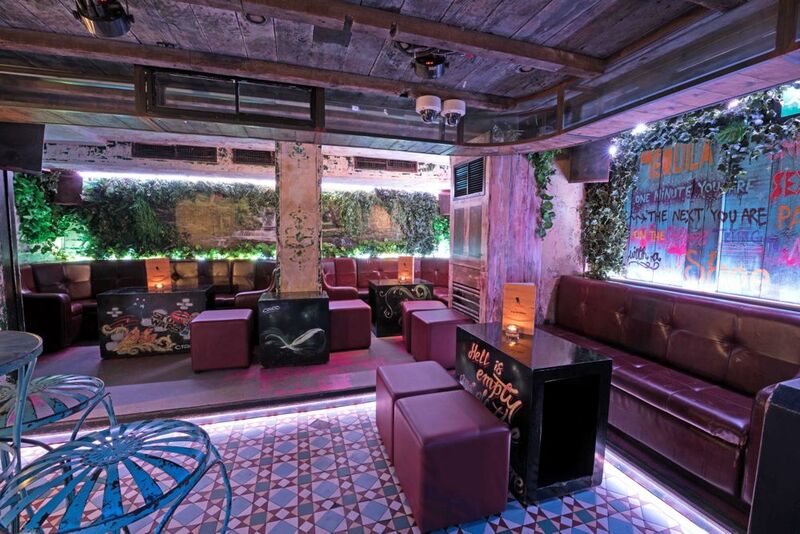 As your favorite Top 40, house, and hip hop music is spun into heart-pumping mashups and remixes, you’ll be mixing and mingling with London’s finest. 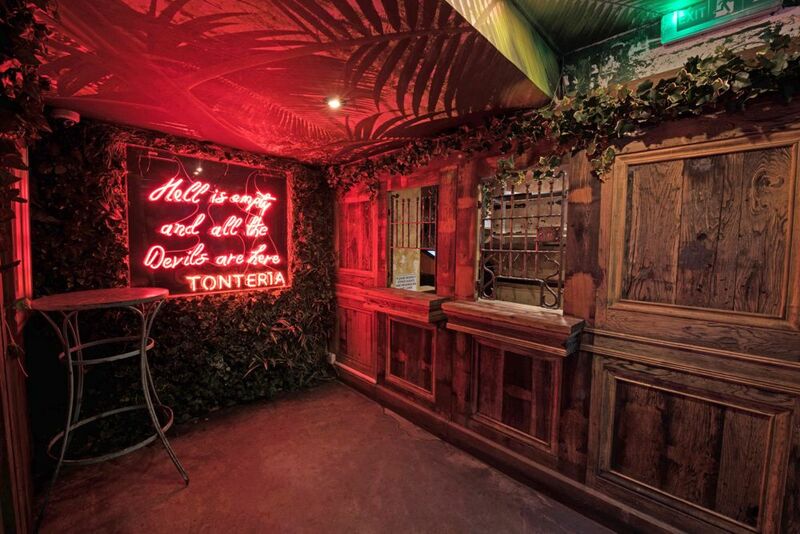 Tonteria’s regulars know how to party, so expect an exhilarating chant when the DJ leads the crowd in a live countdown. 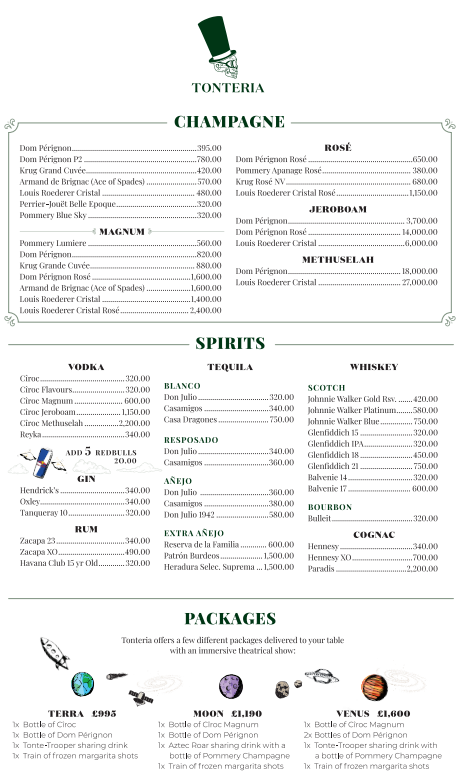 When midnight arrives, clink glasses of complimentary champagne before you return to your tequila adventure. 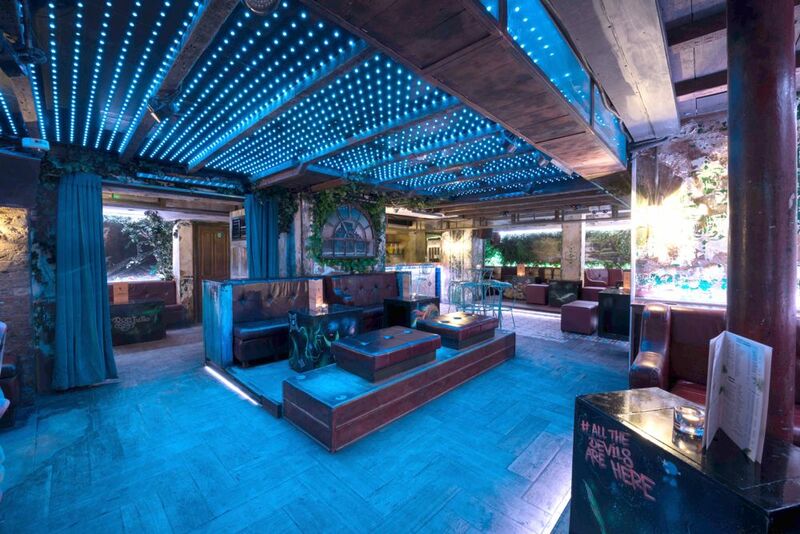 Pickup VIP tickets for perks like fast passes that let you cut the line, reserved seating, and bottle service. 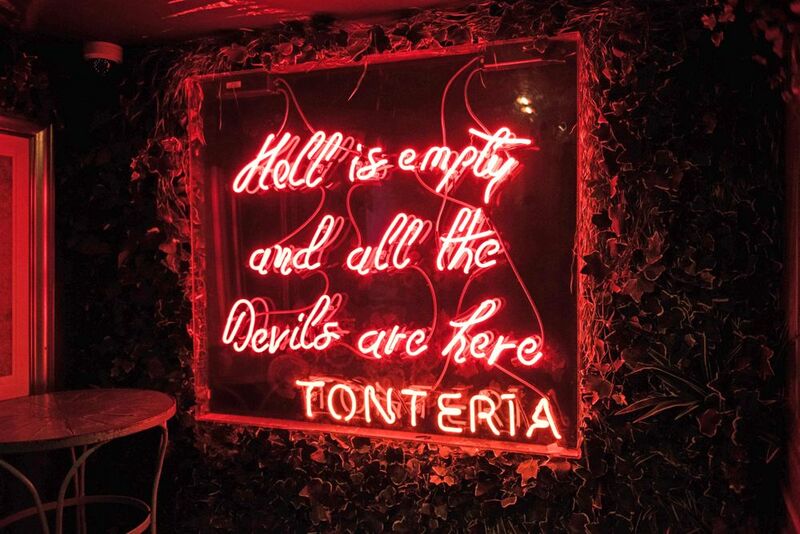 On any given night at Tonteria you’ll find a buzzing crowd and flaming bottles. 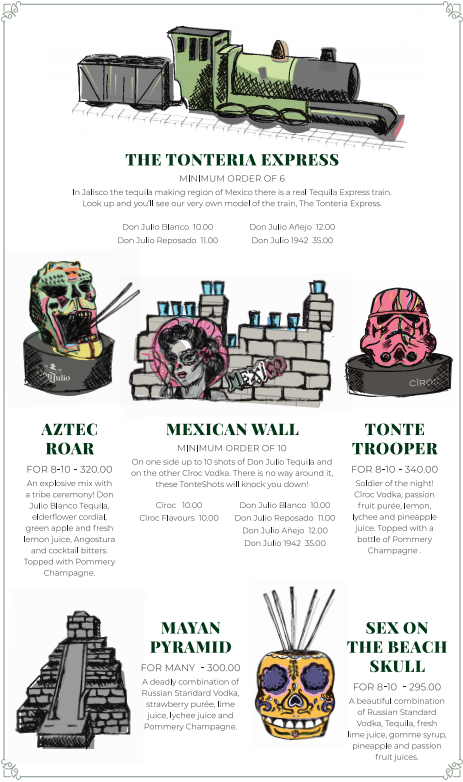 A wooden Tonteria Express delivers Tequila shots to VIPS and a chic Instagrammable décor only adds to its hip vibes. 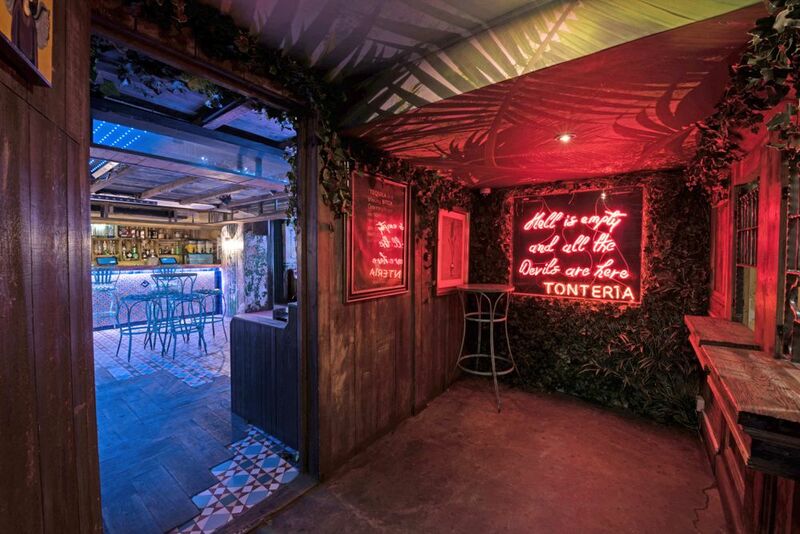 Staff dressed in traditional Mexican garb are both jovial and attentive, which is probably why Tonteria’s celebrity clientele (Jessie J, Justin Timberlake, Pippa Middleton, Prince Harry, Prince William) keep coming back for more. 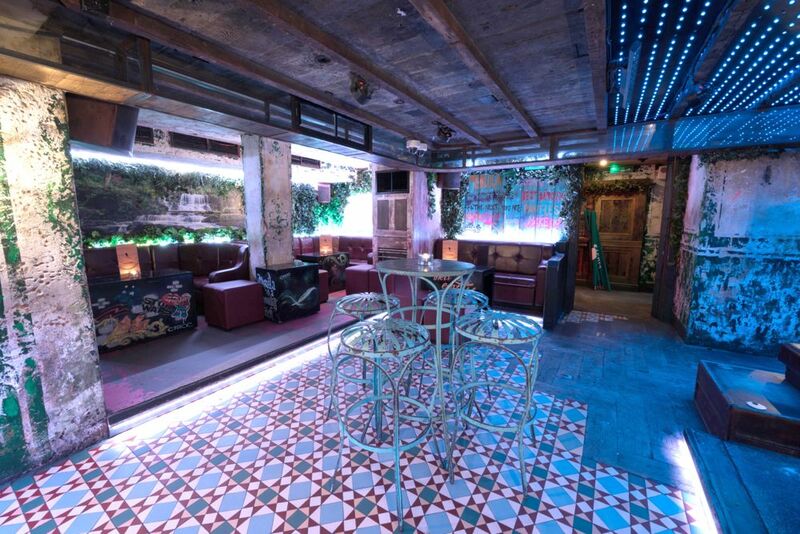 A nightlife institution from club guru Guy Pelly, Tonteria delivers on all fronts. 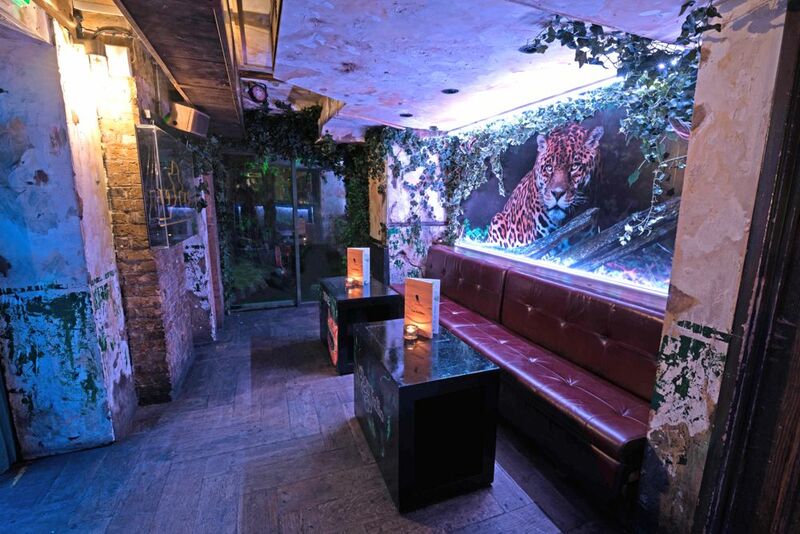 With great tequila, plush chocolate leather seating, a blue lit ceiling, and plush greenery – there isn’t anything this London legend is missing. 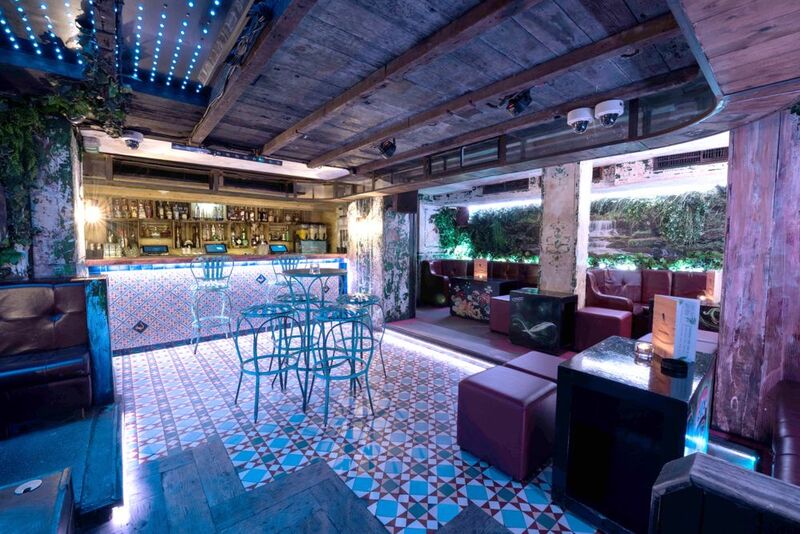 For a New Year’s Eve with an electrifying crowd and party vibes you won’t soon forget, head over to Tonteria. It’s in this underground fortress of entertainment that all of your New Year’s Eve expectations are waiting to come to fruition. 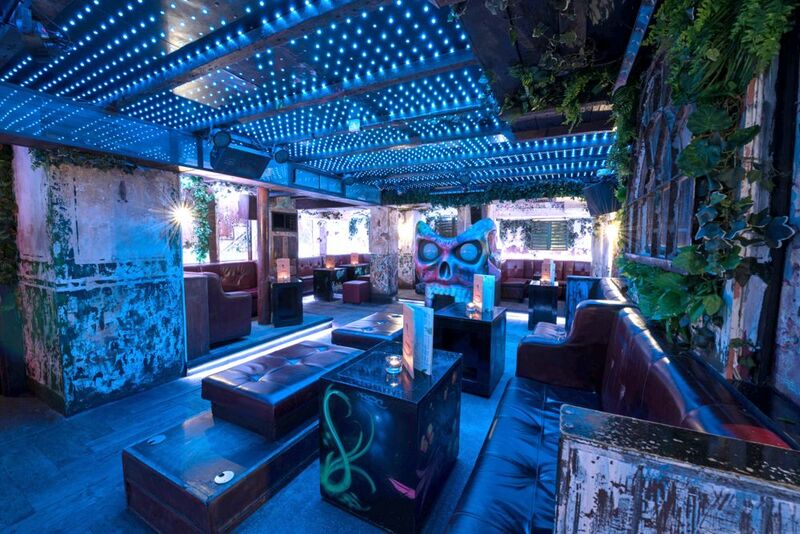 Tickets are on sale now so secure your spot to London’s hottest party.